design creates a custom look. Baluster spacing -The opening between balusters should be less than four inches. Railing height - Required railing height can also vary from city to city. The most common minimum height requirements are 36 or 42 inches from the deck surface to the top of the railing. Contact your local building department for specifications regarding your project. Many municipalities updated their requirements in 2009 and 2010. 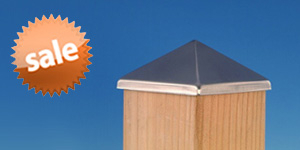 In order to accommodate many budgets, DecksDirect.com offers a wide variety of rail systems. If you have an idea what you’d like to spend per lineal foot of rail, either refer to our railing manufacturers page in this guide or contact one of our railing experts to discuss which material or manufacturer is best for your needs. 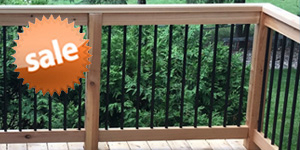 DecksDirect is the largest stocking dealer of deck railing. However, when offering a large variety of options, not all railing systems can be stocked at our warehouse. If your project deadline is fast approaching, it is best to choose from items that are in stock and can be shipped quickly to avoid disappointment. Look for shipping details like “Quick Ship” and “Special Order” on the specific product pages. In our opinion, the railing is THE most important choice you will make when planning your deck. It will be noticed from near and far, for better or worse. The size, color and style of railing can have a dramatic impact on the look and feel of your deck, and can help it to blend with the rest of your home and yard. For the most aesthetic appeal, the railing should complement the other details of your home by being in proportion to them. 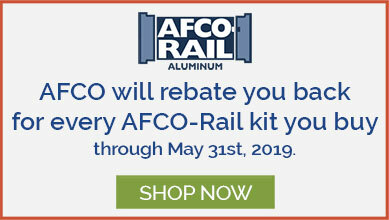 The seasoned handyman will be able to tackle any system without difficulty and will not shy away from a system which requires assembly of individual top and bottom rail components, balusters, and connectors. On the other hand, a homeowner new to this type of project might have more success installing prefabricated panels or using a system that has predetermined baluster sizes, angles and locations with pre-installed baluster connectors. Exposure to saltwater and salty air can damage a number of rail systems. If you are within a mile of the coast, contact us to find out which systems are approved for the conditions in your area. Environmental factors can play a role in your railing’s appearance and function. Choosing a black metal rail is not recommended for a deck that will be in full sun in a hot climate. A glass railing within reach of lawn sprinklers might look perpetually spotty, and glass balusters can magnify the sun’s intensity (increasing the temperature on the deck surface) while cutting down on airflow. Not all rail styles are available in all colors, so keep that in mind if color is your most important feature. For example, if white is the desired color, it is good to start with styles offered in white. Some systems have components that can be mixed and matched to achieve a custom look, and you may consider choosing a color or multiple colors to match or contrast with features on or around the home. Also keep in mind that the darker the color of the railing, the clearer the view through the railing will be. All about the view - or lack of it. Railing not only controls your view from the deck, it also determines what your neighbors can see. Wide balusters and railing provide more privacy for a deck with a hot tub, whereas glass panels and cable railing invite views from all perspectives. As stated in the color section, choosing darker infill allows for easier viewing through a rail section to the scenery beyond the deck. To maximize the available space on the deck surface, fascia mounting is a great option. Not all systems offer this type of post, so the traditional method of mounting to a horizontal surface might be required. To ensure a stable connection between each post and frame, a solid block is needed. If the framing does not already have enough structure, added blocking is necessary to enhance stability. How much time do you really want to spend maintaining the look of your deck and its railing? Traditional wood rails are quite time- and labor-intensive to maintain, so choosing a different material can free up lots of time to enjoy the deck! Glass panels or balusters may require treatment to minimize spotting, but materials like metal and composite are virtually maintenance free. Are you planning a railing with a simple, straightforward layout? Or is complex and embellished what you need? Each system has its own bracketry to accommodate angles and stairs, and some offer add-on enhancements such as cap rails for creating a unique look for your specific project.